It’s rare to find golf courses in such beautiful and peaceful surroundings, overlooked by trees rather than houses and with picturesque lagoons for some challenging play beside water. 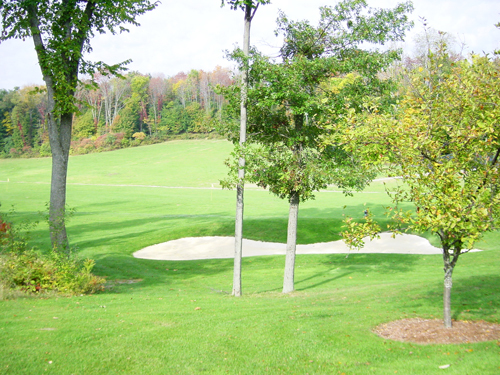 Esteemed landscape architect Steve Esposito designed the Town of Wallkill Golf Course, and it was opened in 1991. Steve aimed to create a New England-style course that perfectly utilized the rolling terrain, and he certainly did a fantastic job! You’ll find wonderful expanses of water, various doglegs and trees surrounding each hole to shut out the urban world and allow you to immerse yourself in a truly relaxing day of golf. 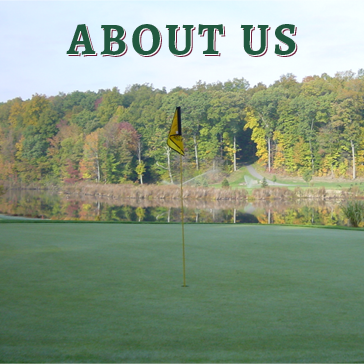 Our 18-hole golf course begins with the first two holes played around a large lagoon, before meandering through wooded ridges lined with oak, hemlock and shagbark hickory. Each and every hole gives you a feeling of total isolation. The final two holes on the course return to the impressive lagoon, but in total, water comes into play in 11 out of the 18 holes for a challenging game. Par for the course is 72, and there are four particularly tough par five holes to really put your skills to the test! Despite the challenges that our course has to offer, we provide four sets of tees in order to allow both advanced golfers and total beginners to take full advantage of the course and play to their ability levels. The tee boxes play to 6,470 yards, 6,112 yards, 5,389 yards and 5,125 yards. It’s not often that you’ll find golf courses that cater to total beginners and professionals alike, but our course is so popular that we’ve played host to a number of Metropolitan Gold Association Qualifiers, as well as the Orange County Amateur. 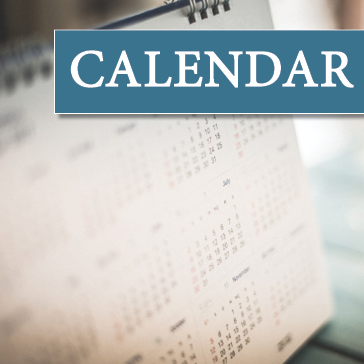 Since we’re a public club, we aim to welcome the local community at every opportunity, which is why we also host an annual Club Championship that is open to all. To prepare yourself for this event we encourage Orange and Sullivan County residents to purchase their annual membership card for just $25. 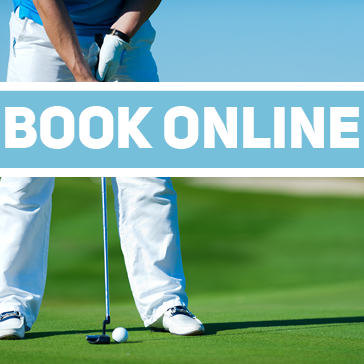 This entitles you to $5 off non-resident rates during regular play so you may practice as much as possible and make the most of one of New York’s most beautiful golf courses. 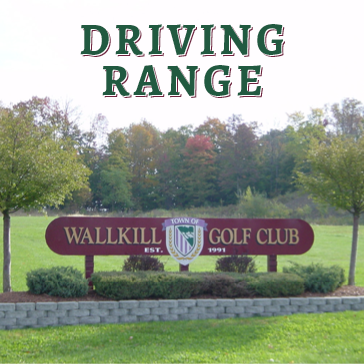 The Town of Wallkill Golf Club driving range in Orange County is now open for you to practice your swing in the most beautiful surroundings! Nestled in gorgeous woodland areas beside a challenging 18-hole golf course, our driving range is available between 7:30 am until dusk 7 days a week. No matter if you like to hit the driving range for fun to let off some steam or you want to fine-tune your swing, our driving range is suitable for people of all abilities and ages. You won’t find another driving range in Orange County with such impressive surroundings. Our unique location isolates us from the outside world, giving you a quieter and more peaceful environment to practice your swing. 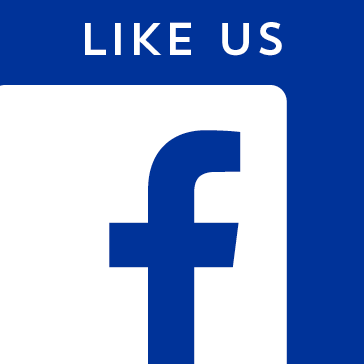 Want to enjoy our wonderful facilities and gorgeous scenery? To become a member of our driving range in Orange County, simply drop by our club house or give us a call (845.361.1022) to hear about our different membership options! We’re looking forward to meeting you down at the driving range! Rich is a lifelong resident of Orange County and has been playing golf most of those years. 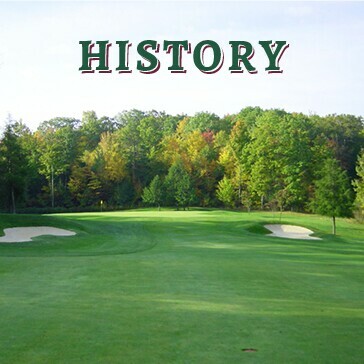 His love for coaching started with baseball, but slowely evolved into golf almost 20 years ago. Rich is a certified and experienced golf instructor and currently works with some of the top bio-mechanical and mental coaches. 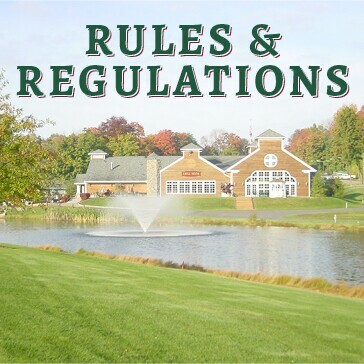 To book a lessons, please contact Rich at 845.361.1022 or by email at rgiordano@townofwallkillgolfclub.com. Playing Lessons Available Upon Request! Surprise a special someone with a Wallkill gift card. This gift card can be used toward any purchase at Wallkill Golf Club. 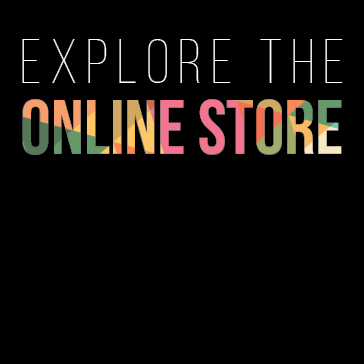 Click below to start shopping!